Yes it's getting warmer and warmer in Las Vegas and I am sooo loving it!!! I'm busting out my short skirts and chic outfits! That said, I love this gorgeous see through dress from SHEIN. The mesh material is perfect to keep me cool during the warm Vegas weather and it looks absolutely chic at the same time! Get this fab dress HERE. Check out SHEIN... they have so many items to choose from that I am sure you will love. Also, I wanted to share with you this fab car I'm driving this week. 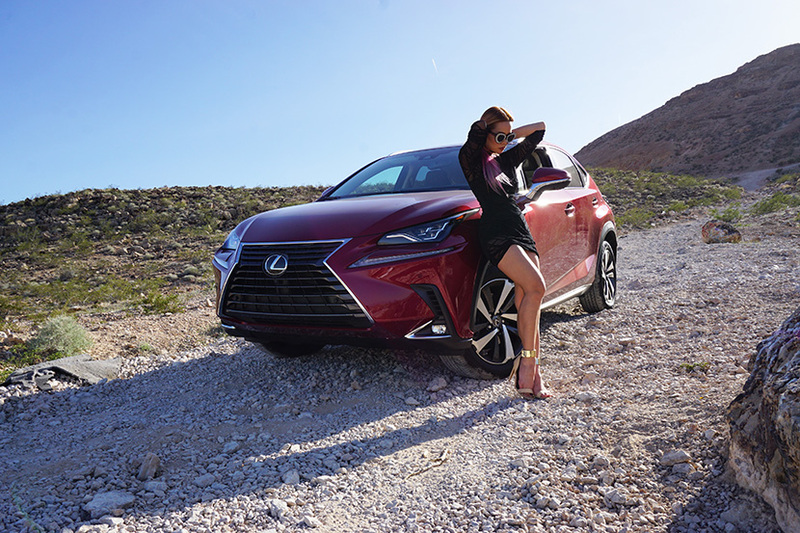 It's the LEXUS NX 300. I really love how LEXUS is such a smooth ride. It's been so much fun driving around the city in this vehicle and the gorgeous color matches my outfit too! 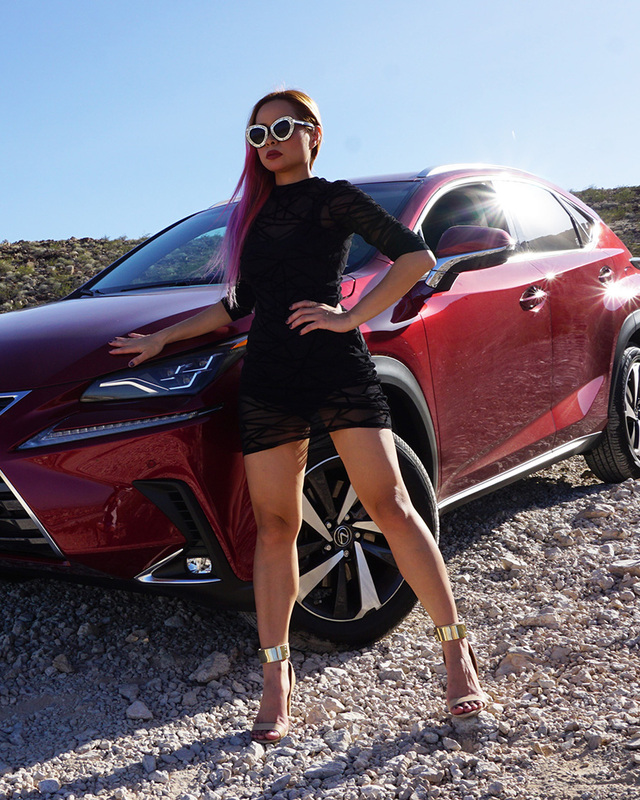 Special thanks to LEXUS USA for this fab car! What a beautiful dress, I loved it. You always have such great style, Cielo!! the pink hair is so fun!